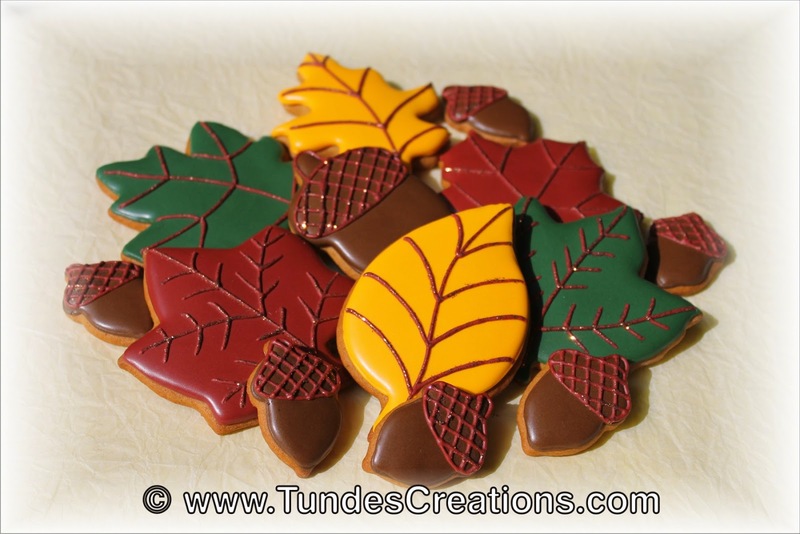 Before we say goodbye to fall, I wanted to show you the fall cookies I made this year. 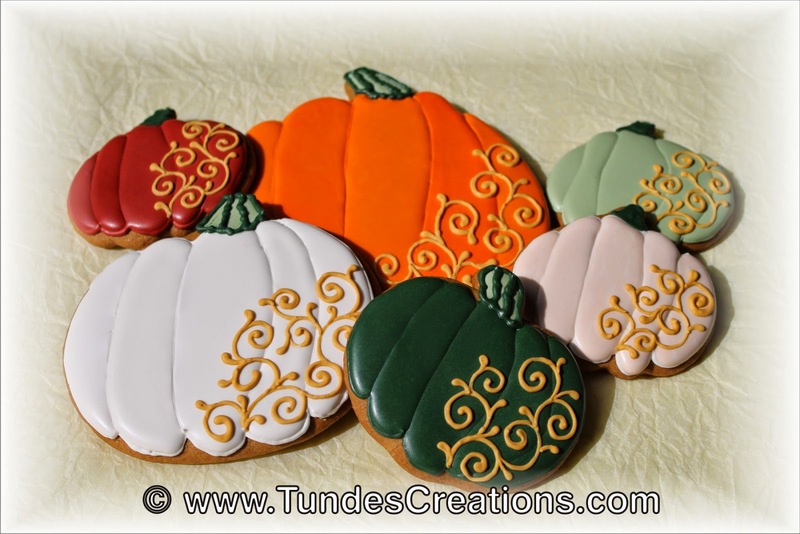 This set is a basic colorful pumpkin cookies. Simple and attractive. 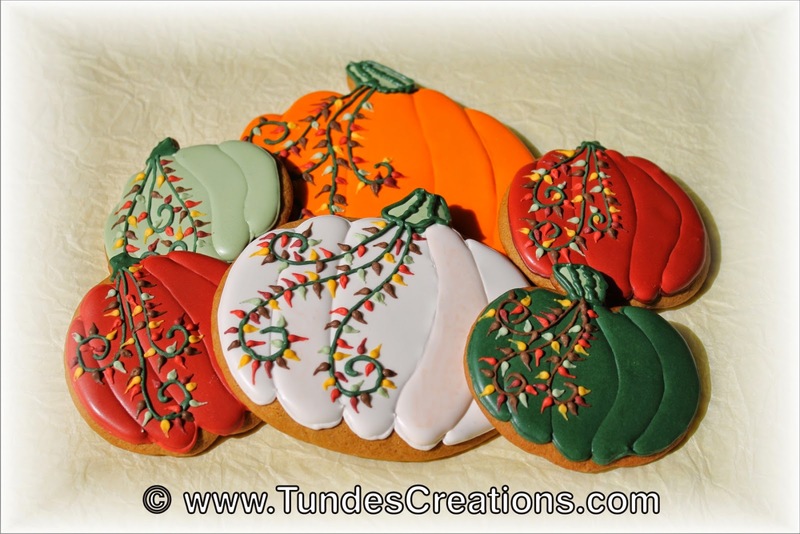 I added colorful tiny leaves to the same pumpkin for a different look. 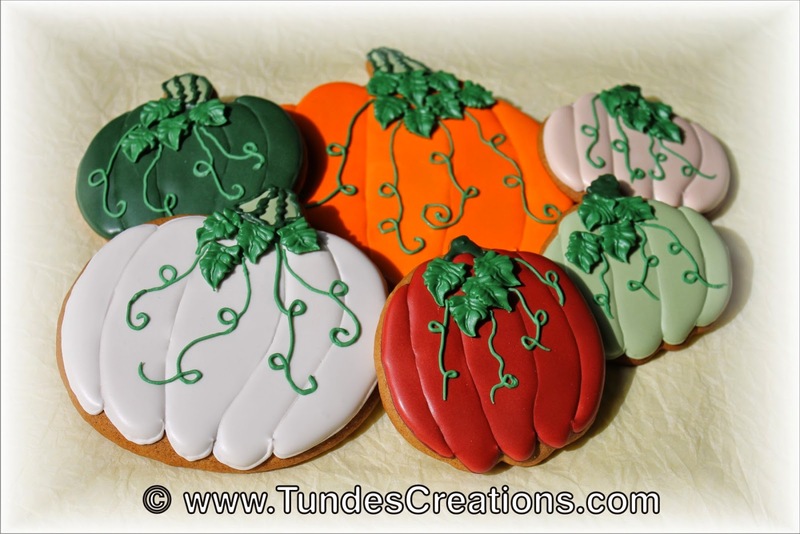 These pumpkins got a lace decoration. 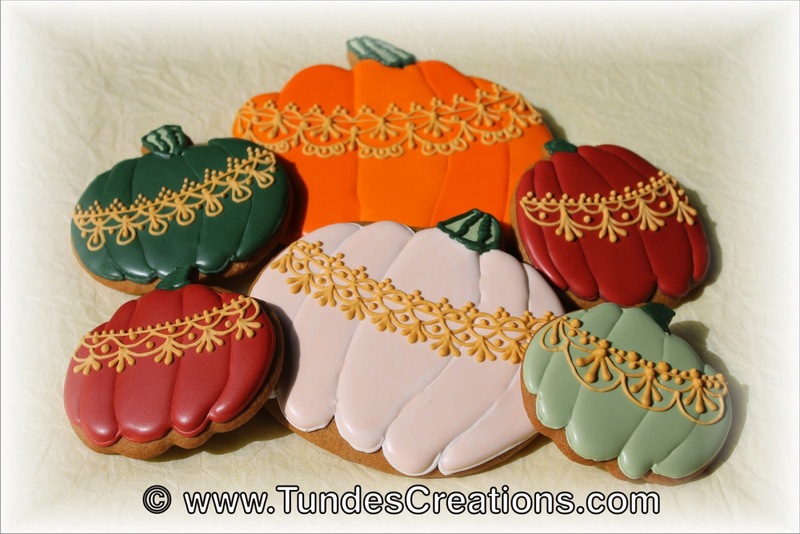 And the last pumpkin set is more festive with its filigree design. 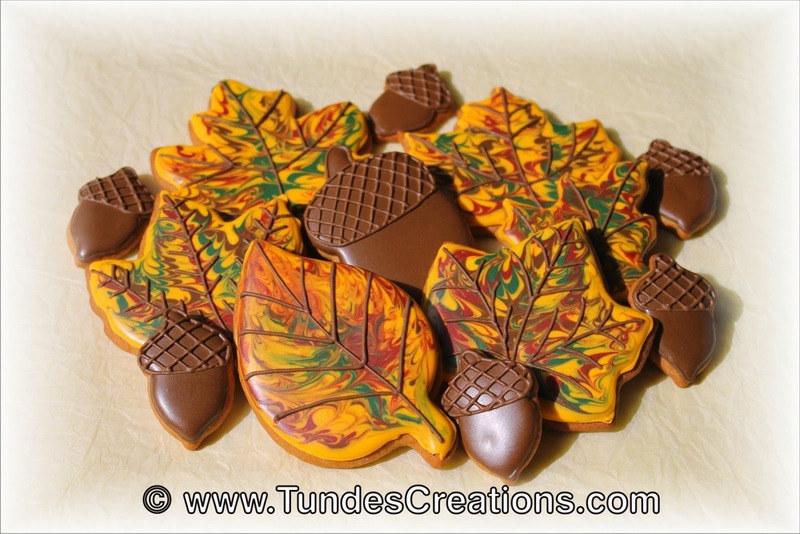 The first set of leaves has colorful leaves made with wet on wet technique and brown acorns complement this set. 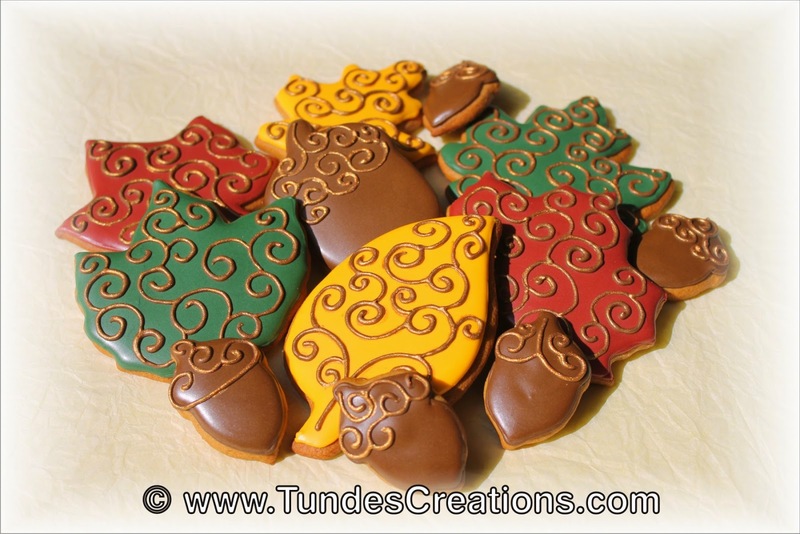 Simple, uni-color cookies decorated with golden filigree. This sparkly set is decorated with twinkle dust. I love fall, all the colors and will miss it. 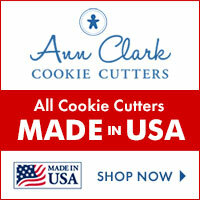 But I am already getting ready for the Holiday season!